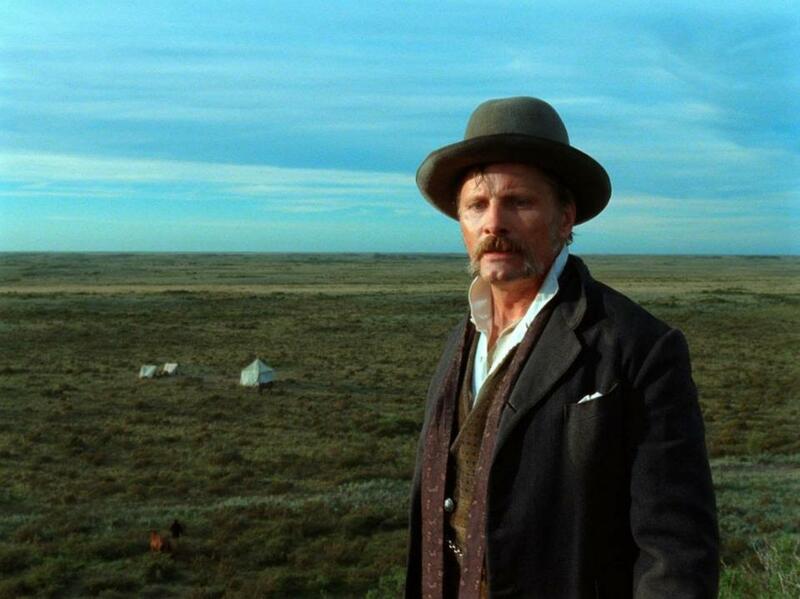 Jodorowsky meets Tarkovsky with a touch of Beckettian minimalism in Lisandro Alonso’s hypnotic meta-Western that leads Viggo Mortensen into a never-ending journey to a surreal existential void. Argentinian director Lisandro Alonso has been known for his aesthetically and verbally extremely minimalistic films that always tend to stretch narration to an almost experimental level. With a career that expands in more than a decade, he has directed four closely related feature films with Los Muertos (2004) probably being his most well-known. With his fifth feature Jauja (Land of Plenty, 2014), Alonso creates something completely new to his already known filmography as this is his first historical almost meta-western film. Jauja premiered at the Un Certain Regard section of the 67th Cannes Film Festival and was awarded with the FIPRESCI Prize. The story is set in Patagonia by the end of 19th century – presumably in 1882 when the Conquest of the Desert ends – in a military camp by the seashore and close to the desert. A group of Argentinian militants is set there in order to clear the area from native inhabitants. Along with them is the Danish engineer-Captain Gunnar Dinesen (Viggo Mortensen) with his 15-year-old daughter Ingeborg (Viilbjork Agger Malling). Dinesen will be responsible to make that area more civilized when the military campaign ends. The militants are concerned about Zuluaga, a legendary almost mythical deserted officer who now is fighting against them and on the side of the indigenous population. As the story unfolds, Ingeborg is suddenly gone missing – as she escapes with Corto, one young soldier – and her father is going to search for her. Now everything becomes extremely personal. Dinesen should start a lonely journey across the vast and arid Patagonian landscape to find his daughter and probably himself too. Jauja is certainly not the typical period film that you could expect by a director like Alonso who nevertheless breaks some of his own rules. Jauja is probably more verbose than all of his other films together, also for the first time he is collaborating with a professional actor like Viggo Mortensen – who was also one of the producers – and this is Alonso’s first big budget production. 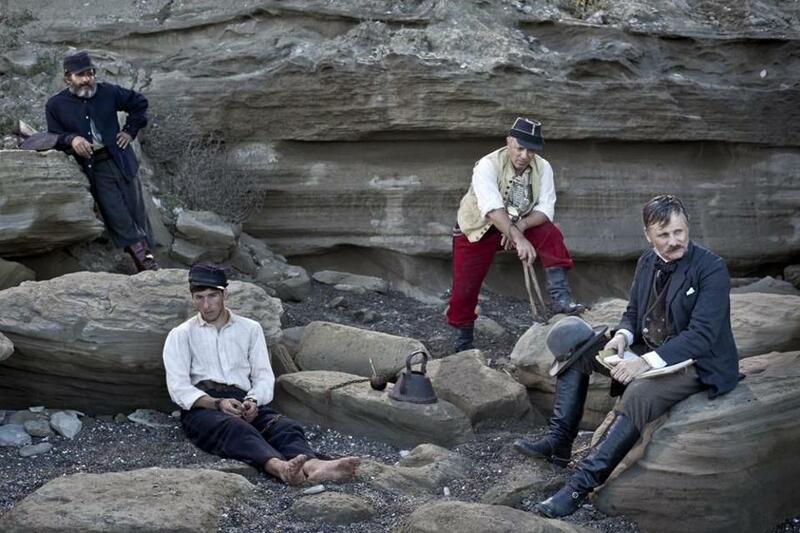 Despite these changes, Jauja remains a highly metaphorical and symbolical tale as any minimal Alonso’s film. The title itself is a direct reference to the city of Jauja or what the Spanish conquistadors regarded as their El Dorado. It was believed that Jauja was a mythological land of abundance and happiness but whoever tried to find that place got lost on the way. Based upon this real myth, Alonso creates his filmic one. He almost extracts the entire historical concept around his story and he keeps the essence of it. What are the dangers when extreme colonialism tries to forcefully penetrate a so-called barbaric culture, where are the limits of “civilized” militants against the uncultivated “coconut heads”, did Europe really built or destroyed the Americas? These are some of the obvious rhetoric questions that Jauja tries to pose but of course there is no straight answer to any of them. Alonso’s eagerness to perplexity goes even further with this film that is extremely rich to references. Jauja starts as an unconventional period military drama and by using some exemplary Bechettian dialectics is focused on Zuluaga. The unseen character of Zuluaga could be parallelized with Aguirre in Werner Herzog’s Aguirre, der Zorn Gottes (Aguirre, Wrath of God, 1972) or even better with Colonel Kurtz in Francis Coppola’s Apocalypse Now (1979) as he represents the fear of something that could be contemporarily known and unknown and his absence enhances his myth. After Inge’s disappearance the film is transformed to a denuded meta-western on the footsteps of Alejandro Jodorowsky’s El Topo (1970) almost without any action and with a splash of characteristic Bressonian abstraction. Dinesen is travelling alone as another Don Quixote to save his missing daughter but in Alonso’s adaptation even the windmills are absent, everything is implicated. That abstraction leads Dinesen to roam around the Patagonian desert in dreamlike almost impressionistic sequences that dazzle him. The sudden appearance of a Tarkovskian dog will give him the necessary hints to find something that seems as a solution. As this experience is gradually becoming even more surreal, Dinesen will realize that what he initially thought as a shelter could just be another Rabbit Hole for a new never-ending dream. 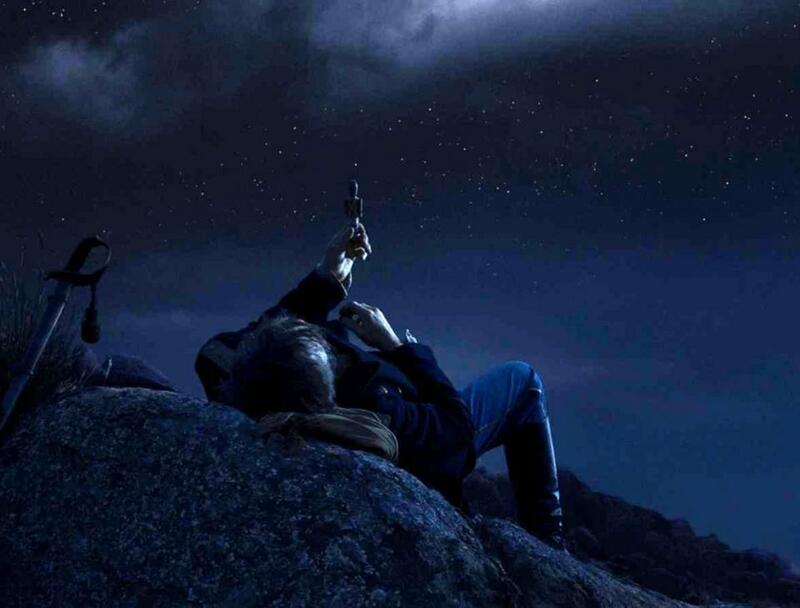 Jauja is a film that is difficultly described in words as it should be treated as a real experience where everything is so meticulously placed in order and at the same time nothing has any logical connection. Alonso’s painstakingly attention to detail is also followed by Fabian Casas – an Argentinian journalist and poet – who co-wrote the screenplay with the director. This collaboration gives for the first time an actual narration to an Alonso film. Of course his creative austere formalism is also expanded to the visual aspect too. 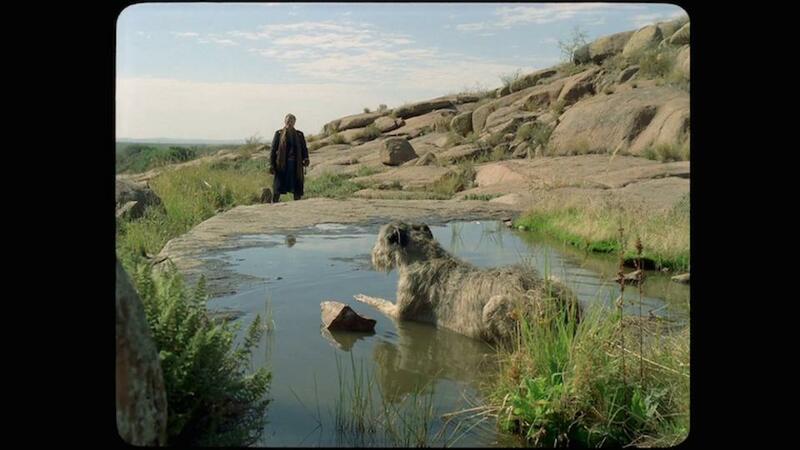 In Jauja he is working with Aki Kaurismäki’s DoP Timo Salminen who boxes the film in Academy ratio cinematography with rounded corners, like a 35mm frame, or better like a silent-era film. The camera is usually still and it has always some distance from the action and that makes each scene to look like a tableau vivant with exceptionally vivid colors. This result is achieved as Salminen blends natural and artificial light and this enhances the viewer’s and the hero’s daze. It should also been mentioned that everything is shot in actual locations that were found by Alonso himself. So evidently the dream’s deceit meets the unexpected reality and that makes even vaguer to distinguish where each world ends. 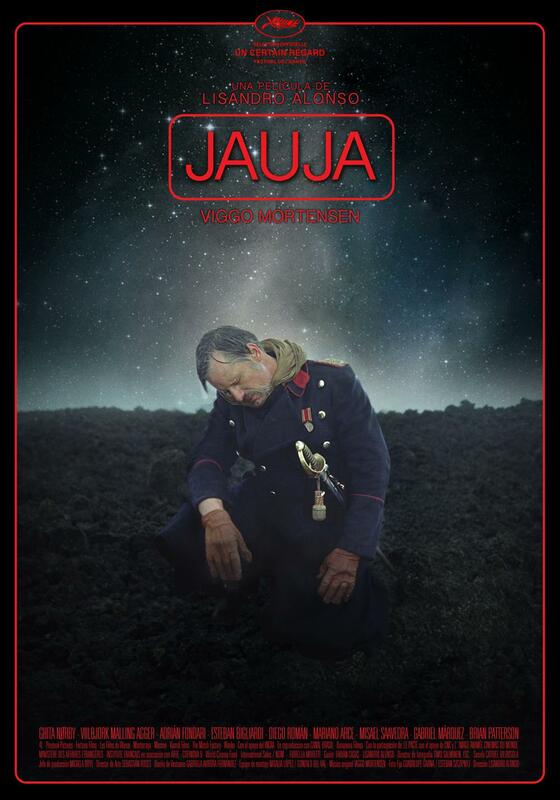 There is no real explanation of what Jauja actual is. As a highly enigmatic and hypnotizing work of art, it is open to any kind of interpretation. Anyone could receive the messages that travel through Alonso’s film in a different extremely personal way. The viewer has two options. He can stay in his reality and observe Viggo Mortensen getting lost in his abyss. Or he can believe the myth and begin a voyage to his inner self. In order to fall into this existential void he must just follow the – almost – white dog.